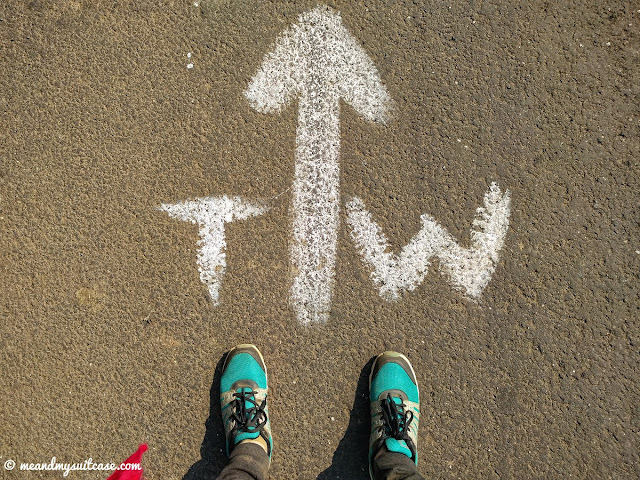 Walking or working, whatever it is, doing that in team is not a joke, doing things independently is rather easy. The former requires adjustment with other's pace, a basic need for a team to be successful while the latter is only a battle with self. The key to thrive in a team and for a team to thrive is respecting each other's strengths and weaknesses, plus using them right in any situation. Recently, when I was given an opportunity to participate in a 50 / 100 km long walkathon (to be completed within 24 / 48 hrs), I grabbed it with all my heart, arms and legs. 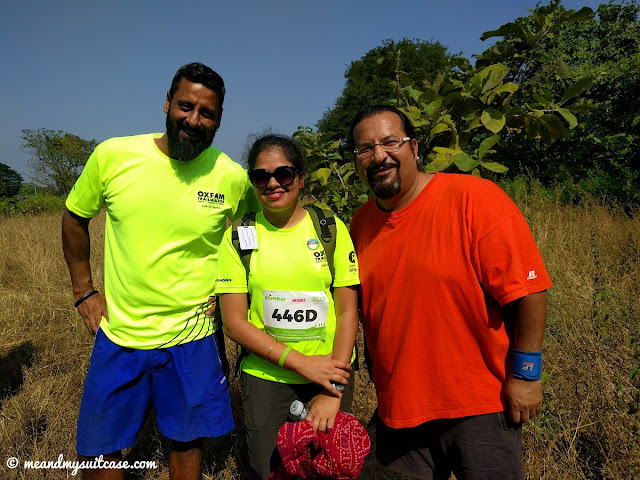 I was at site in Jammu, when Sonali from my office called and informed me about "Oxfam Trailwalker India 2018". After a series of call drops, interrupted conversations one thing that I was sure of was that a wave of something new was headed my way. Next morning we had a detailed discussion about this event and how my company, Afcons was sending six teams to participate in it. Ticking things off my list always gives me immense joy and now that I was representing my company for something other than work brought in that extra flavour. 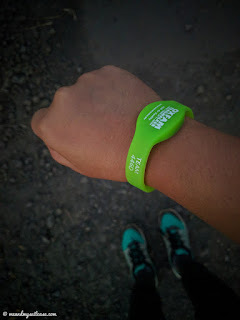 Next step; 50 km walkathon. 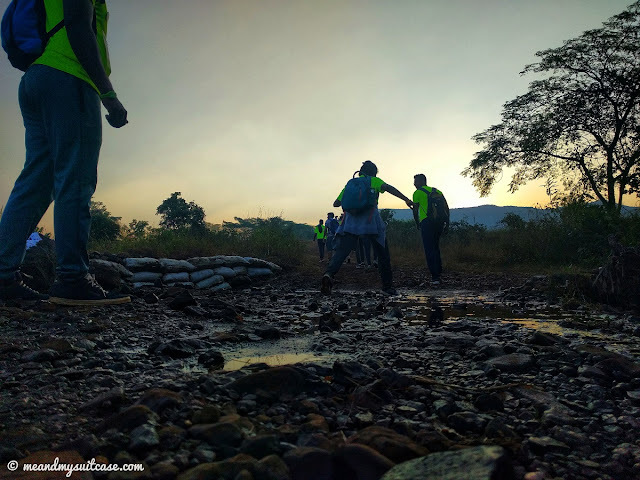 Trailwalker is a global phenomenon & an ultimate team challenge. Trailwalker-teams are expected to start the challenge together and must finish it together. 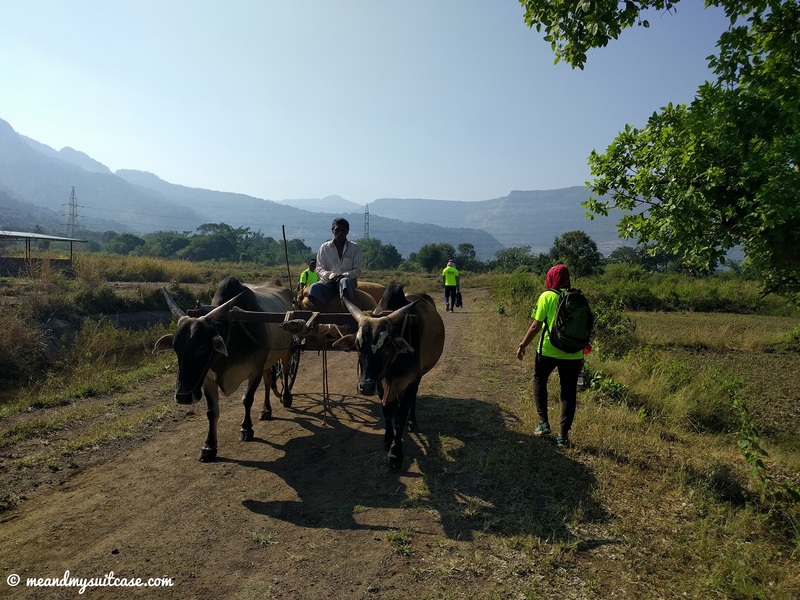 This year's ‘Walk for Equality’ (Mumbai edition) happened in Karjat last month and took us through a mixed trail of village road, farmlands, riverbed, jungle (nature trail), tar road, lows and uphills, through hot and cold temperatures, sometimes even extreme; a complete test of endurance, patience and will power. The funds raised via "walk for equality" are used by Oxfam to reduce inequality and help the underprivileged. As per Oxfam it promises to bring a big difference in someone’s life but I feel it does bring a change in our lives as well. We were to walk in teams of 4 and had one & half month to prepare ourselves. Starting with deciding on our team names (we named our team Walks on the Rocks) and nominating a support crew member to setting daily goals began the Oxfam Episode. We would walk daily in the morning and evening with a target of 12000 steps per day, take staircase instead of lift at work and as far as climbing staircase was concerned, no matter which floor we work at, everyone had to climb up to the top floor and then go back to our respective seats. Strategizing the walk to discuss on what we should eat and wear became so important not only for the practice sessions but for the final walk as well. We realised how small-small things played an important role and affected our team. As the gap to D-day started closing in, apprehensions started clouding my mind. Though I love playing sports and keep participating in outdoor activities, walking 50 km is no child's play. With my friends' pep talks and a constant belief in self, I kept working hard in spite of constant business trips which also disturbed my practice sessions. 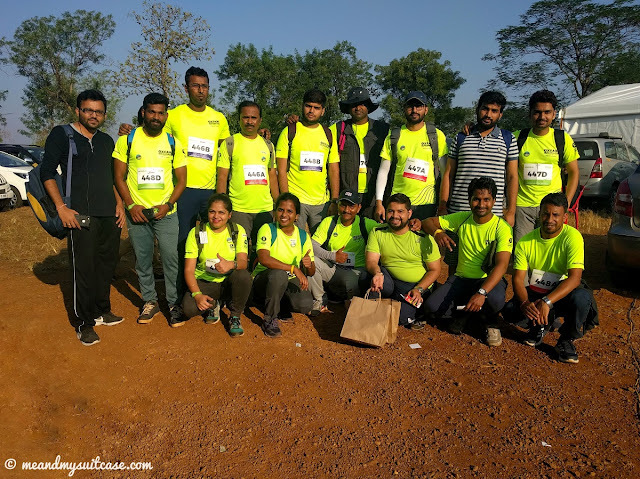 Then my team did a 20 km practice trek in Tungareshwar a week before D-day to check our endurance & preparation level. We completed 20 km in 4.5 hrs which was a great confidence booster. We got up at 0300 hrs at our farmhouse stay, got ready and left for the start point at 0500 hrs. We had to collect our bibs & trackers and commence walking at 0600 hrs. Drums were rolling, there was media, music and photographers to cover the event, the walk became a much bigger deal for me. 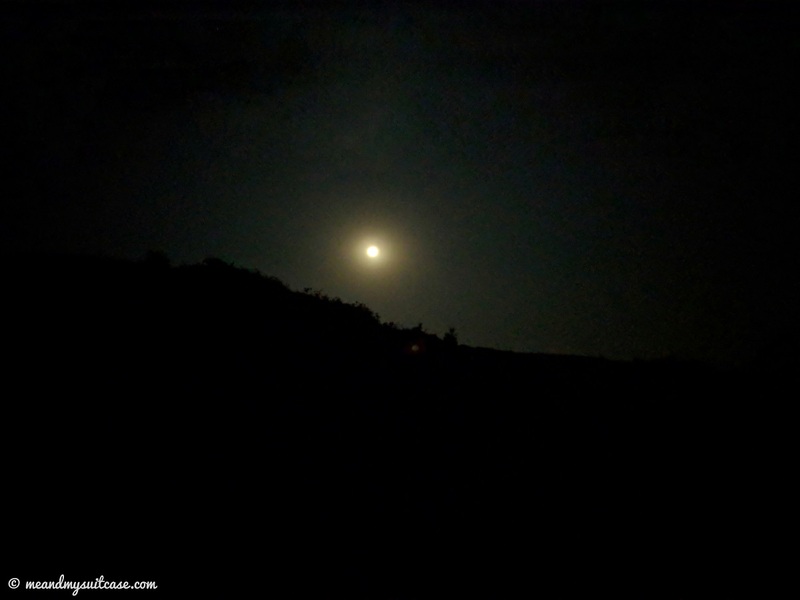 It was dark, we started with setting of moon and rising sun. Starting was great, we were enjoying among 100 more teams and kept the pace to achieve our set milestones. 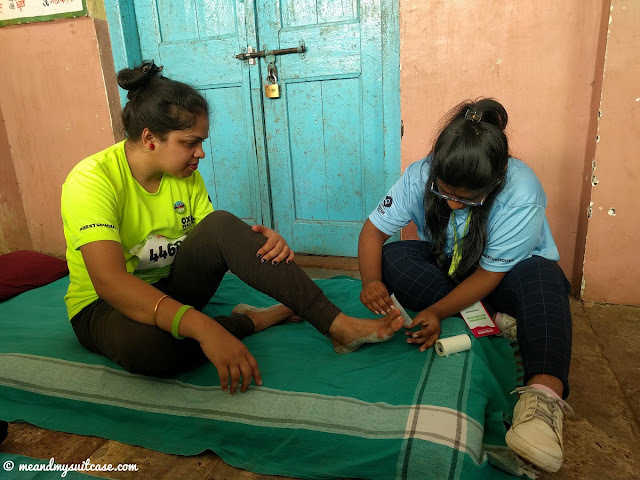 The 50 km trail had 5 check points with physiotherapists, nursing team at place, coffee and tea vending machines and portable toilets. Nursing team was present to tend to injuries with blisters which was one of the most common problem among the walkers. Physiotherapists worked wonders too and helped us to walking by tending to our pain of any kind. The best physio I got was at 7th and 9th check points by Sitra & Chaitrali, respectively. Don't remember the name of the girl in the picture above but it's worth mentioning that even after getting her leg burnt only 2 days before the event, she came to volunteer and to me that's dedication. One can't expect to get complete relief but both teams did help us in moving forward. Least to mention, our support crew member Prasad was the backbone of our team who kept us motivated and so did the rest of the support crew. We crossed villages where little kids would wave, saw bullock carts riding on mud roads, also walked on very narrow & challenging trek paths through jungle farm, tar roads in peak sun, through mountain ranges and beautiful valleys in cool evening and forest area in pitch dark night, everything posed a new challenge but with our collective efforts my team made it to the finishing line in just 16 hrs 27 min 29 sec to drum beats played by our own fellow Afconians Mr Sandeep Mulay and Mr Inderjeet Singh which was an amazing feeling and seeing Mr Ashwini Kumar waiting for was like cherry on top. It was really thoughtful of our senior team members to wait for us and cheer as we reached the finish line. The best part of the trip was definitely to reach finishing line & much before the deadline but then there were many other good moments too which overshadowed the hard times. I met the food enthusiasts, Rocky & Mayur of Highway on My Plate, got a picture with them, had my fan moment; another happy moment was when villagers would inquire with us about our well being on the trail and would even offer us to take some rest in their homes and have some food with them (the invitation we turned down politely but it was very thoughtful of them); walking through some amazing trails in cool temperature first chasing sunrise and then under the twinkling stars were some of the best moments of my 50 km walk. The toughest part of the walk was during afternoon. Sun was right on head and there were hardly any trees on that trail. I expressed angrily, "Why the hell there ain't any trees? Why do we cut so many trees?" I found myself in an ironical situation for the fact that I am in construction business but I do feel why we cut trees for progress, double the amount should be planted; something which my company Afcons strongly believes in. Meanwhile came a moment when everything appeared so hazy, I started questioning myself why am I doing this, what's the purpose of life and so on. Some soul searching, challenging myself and then beating latter to fight inquality made everything look so good and clear. As we started closing in on our final milestone, temperature started dipping making our walk more enjoyable but the pain... was unbearable. My last 3 km were the toughest. in those moments I wished for a wand to swish, flick and bring finish line nearer. The last 300 m were scary. It took us through empty, semi-constructed buildings which looked abandoned. The situation spiked my imagination, everything around felt so haunted. When I shared this with my team member Stanley, he asked me to keep quiet (it was that scary). In short, my team and I lived a myriad of emotions on this extraordinary & overwhelming episode which we completed successfully under the leadership of Sachin sir. Designate milestones and celebrate them as your team's success: big or small doesn't matter but celebrating every milestone pushes you to do better. One can do more than they think they can, e.g. 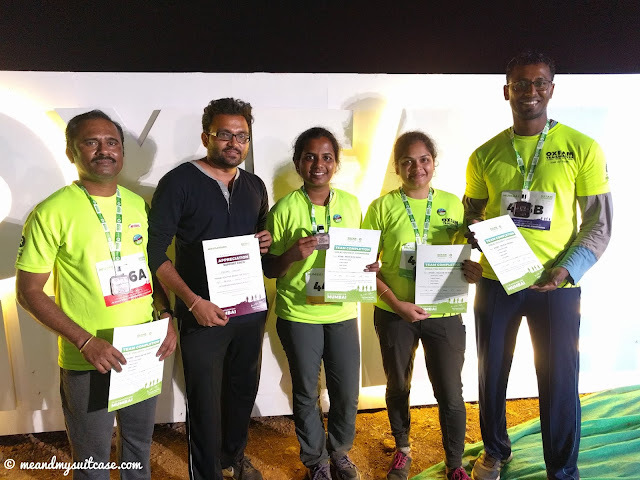 completing 50 km in 24 hrs sounded like a dream until the attempt. Now we know, we can even push ourselves to do it in lesser time. Take care of yourself and your team, embrace obstacles because complaining never helps. Also, having fun, talking and pulling each others legs (not literally) helped us march forward much easily. We finished successfully but it wasn't really the end, it's a beginning. We ended this episode with some takeaways for the beginning of a new episode. Here is what Oxfam Trailwalk meant to other teams from Afcons and what they took away from this journey. 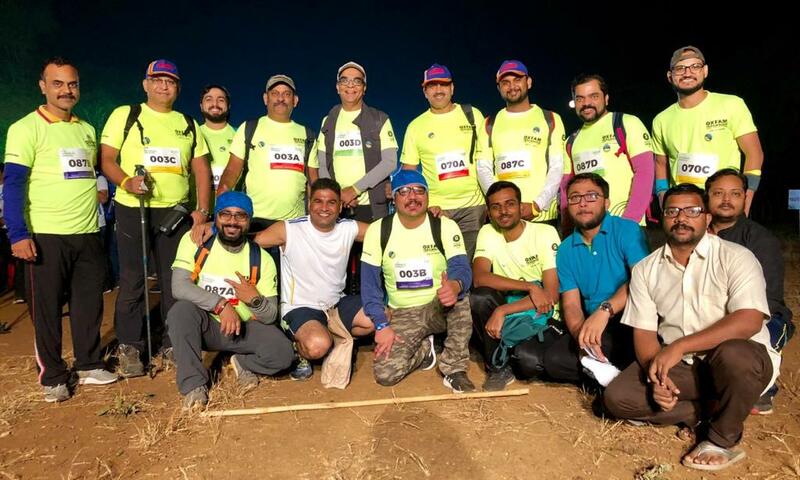 Sailors on Trail (Mr Iyer, Mr Shyam, Mr Prasun, Mr Yogendra with support crew member Mr - 100 km): It was one in a million kind of an experience for us. This trail walk really tested our endurance, strength, focus and patience. 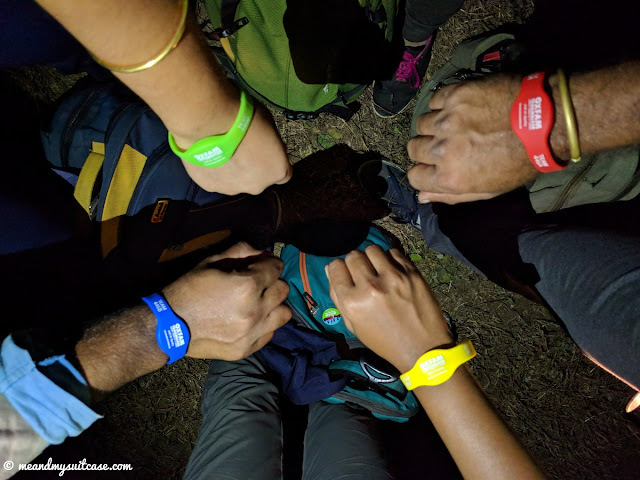 The target set was 100 km trail walk with 4 enthusiastic individuals. This amazing journey gave us an opportunity to improve our skill-set viz. team spirit, perseverance, never give-up attitude, to complete the task. Whatsoever the hurdles were like temperature variations from 38 deg C in afternoon to 14 deg C at night, blisters in feet but the motivation kept us going through our journey so did our energy which made us forget the problems. The same 'never give-up attitude' in life can help us conquer anything and everything in this world. 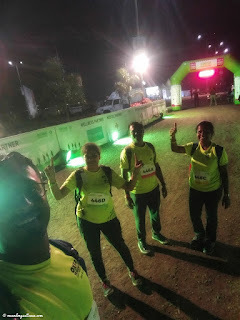 Pacemakers (Mr Vivek, Mr Anil, Mr Sagar, Mr Alok with support crew member Mr - 100 km): The pain was gain in disguise. The pain was a driving force, kept us going, kept us motivated. And, motivation was hydration which kept us unbroken. Amazing learning experience of our lives. Best 48 hours, INDEED! Walks on the Rocks (Mr Sachin, Mr Stanley, Ms Sonali, Ms Stuti with support crew member Mr Prasad - 50 km): In Mr. Sachin 's words, Now, on looking back it appears as if "four students were on a mission wherein journey itself was a good lesson, from how we should balance our physical and mental strength in extreme tough situation to accomplish our goal successfully." We were in it together. It was A WALK TO REMEMBER. This will always keep those memorie fresh and alive! Stuti you have expressed the event in the words as it has happened just a day before in our life. Wow! thats a great achievement Stuti. Congratulations! Wow. That is an amazing achievement. You are giving me fitness goals. That's an awesome achievement and also congratulations for being the no.1 article on IndiBlogger.